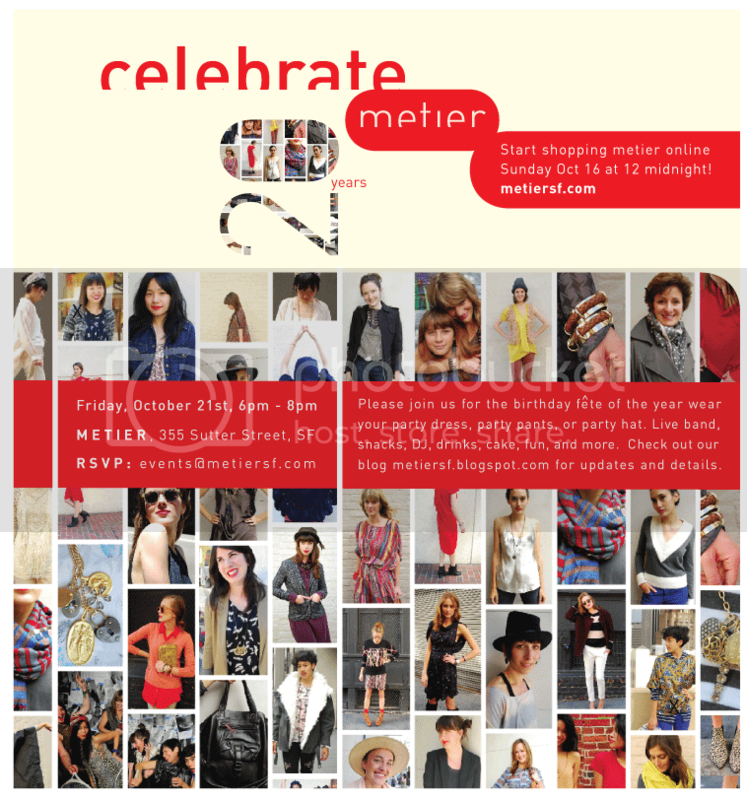 Metier: Celebrate Metier's 20th Birthday & Webshop Launch with a PARTY this Friday! Celebrate Metier's 20th Birthday & Webshop Launch with a PARTY this Friday! Sip bubbly chosen by Jessica Boncutter of Bar Jules and snack on El Porteno empandas, Dynamo Donuts & a big ol' birthday cake by Black Jet Baking Co. Please RSVP to events@metiersf.com or on Facebook. Our webshop launches TONIGHT Sunday, October 16th at midnight at metiersf.com. We are thrilled to make our style a little more accessible to everyone! Shopping in bed at 2am? We think so! 18 Rabbits, La Boulange, mubeauty, Ole Henriksen, & Sephora.